Ben Messina, 81, passed away peacefully on March 28th surrounded by his boys. Born April 30th, 1937 in Detroit, MI as the youngest of 6, he graduated from Wayne State Univ. as an aerospace engineer, and in 1961 moved to Seattle to begin a 34-year career at Boeing. He met and married Katherine Kelly, a fine Irish girl from Montana. Ben and Kay enjoyed a fun, love-filled, and adventurous 53 year marriage. They traveled, maintained enduring friendships, and had really fun parties. They had 3 boys, Michael, Tony & Mateo, and remained side-by-side throughout life, despite Kay’s battle with Alzheimer’s, which ended in 2016. Ben was a guiding influence for 50+ years at Our Lady of Guadalupe Church and a Tax Aide volunteer for 20 years. 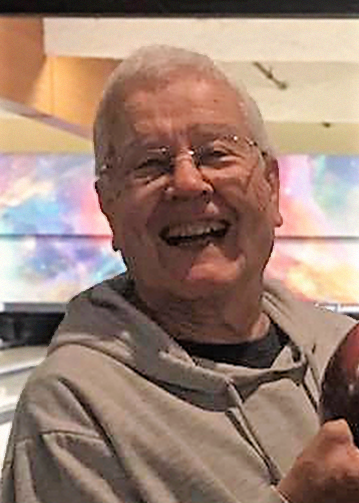 He was an active golfer, walker and bowler, and even summited Mt. Rainier. More importantly, Ben was a great father, husband and friend. He took true interest in everyone he spoke with, making them feel important and that their words mattered. Ben showed how to love, live and enjoy a good glass of wine. We are grateful for the love, stability, kindness, and guidance he provided. Ben is survived by his sons Michael (Yvette), Tony (Dawn), & Mateo (Tammy) and 9 grandkids. His family wishes to thank the community of Guadalupe parish and Mt. St. Vincent. An evening vigil will be held this Wed. April 3rd at 7pm; funeral services April 4th at 11 am, both at Guadalupe Church. In lieu of flowers, remembrances may be made to Guadalupe Church or Mt. St. Vincent. To share your fond memories of Ben with his Family & Friends please visit his Tribute Wall, above.